The third and final Public Meeting for the Rocky River Master Plan was held on October 18, 2017, in Memorial Hall, at the Don Umerley Civic Center. Approximately 45 residents, business owners, and public officials were in attendance. Following the Public Meeting, materials were posted online to allow additional residents to read the materials, comment on them, and provide feedback. During the Public Meeting, representatives from County Planning gave a presentation on results from the second Public Meeting and introduced the implementation tables covering potential partners, estimated costs, and project timelines for implementation of the Core Projects and Goals. At the end of the presentation, County Planning asked the attendees for comments and feedback about their priorities for implementation of Core Projects and Goals. Around the room were boards featuring the Core Projects and Goals, associated images, and information on the feasibility and impact of each project and goal. Residents were given a handout on which to rank their top three priority Core Projects and top three priority Goals after reviewing the boards. Comments could be left on any of the boards as well as the handout. Attendees were also asked to provide feedback about their preferred development scenario for the Reimagining Marion Ramp Core Project. A board was set up for residents to vote on two development options for the Marion Ramp. The first option described repairing or replacing the ramp, while the second option described removing the ramp. These options were accompanied by additional information about traffic impacts and costs associated with both options. This Results Report outlines the implementation priority ranking for the Core Projects and Goals, and common themes derived from the Public Meeting and online survey comments. Please follow the link below to review the entire Results Report. A Master Plan outlines a community’s vision for the future and describes specific actions that the community can take to realize that vision. Topics addressed range from transportation, housing, and economic development to parks and recreation, business district development, and more. Thus far, we have collected public input via a community survey, three Public Meetings, three online surveys, and a number of meetings with the Project Team and Working Group. We are using this information to assemble a Draft Master Plan document that combines the information assembled from each phase of the planning process. 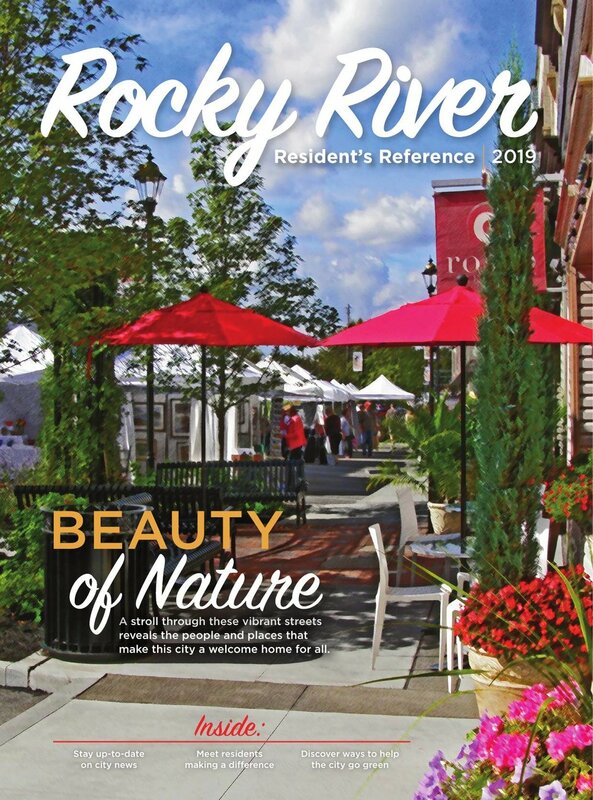 The Community Vision document outlined the direction Rocky River residents would like to see the City develop. The Policies document consisted of overarching Community Vision statements, Core Projects for major physical improvements in the City, and Goals and Actions for accomplishing the community’s vision, serving as the foundation for developing a guide for implementation. In the Implementation phase, we worked with residents to prioritize Core Projects and Goals. Individual actions were tied to partners, timeframes, and estimated costs to ensure that responsible parties are aware of what is required to accomplish a project or goal. The third Public Meeting held on October 18, 2017, covered results from the second Public Meeting and policy recommendations for Core Projects and Goals based on the community’s vision. It was attended by over 40 residents who submitted approximately 71 written comments and cast 245 votes for their highest priorities for Core Projects and Goals Implementation. Furthermore, a post-meeting online survey was taken by 104 people which resulted in 76 individual comments and approximately 687 votes for implementation priorities. Comments were categorized and summarized to reveal common trends among the responses. These themes will be described in a Results Report that will be posted on the plan website in the coming weeks. The “Linda Street Development” Core Project proposed as a Pedestrian Promenade with angled, on-street parking. It could include phased-in new development possibilities, outdoor seating, and enhanced infrastructure. A total of 70 votes by respondents rated this Core Project as a high priority for implementation making it the highest rated Core Project. Moreover, residents have stated that they would like stronger pedestrian and bicycle paths to better access Downtown River, connections to Lakewood, parking accessibility, and continued growth, making Rocky River a gathering place that boasts small-town charm and character. Of the in-person and on-line votes for which Core Project was the most important, 58 total votes were received for the “Downtown Parking and Development” Core Project, making it the second most important Core Project that should be implemented. Similarly, improved streetscapes and enhanced parks and public spaces were the two most important goals to the public. The “Improved Streetscape and Repair Infrastructure” Goal had a total of 103 votes as residents feel quality streets reflect the quality of the community. Additionally, residents said they would like to see improvements to their parks to ensure they reflect the quality of the Rocky River community. That desire was reflected in the in-person voting at the Public Meeting and the voting results from the on-line survey. A total of 78 respondents rated the “Enhance Parks and Public Space” Goal as one of their top priorities for implementation. The information presented at the October 18, 2017 Master Plan Public Meeting along with a survey can be found at the link below. If you were unable to attend the meeting, please share your thoughts on the Plan’s core projects and goals by completing the survey found at the top of the page. As you scroll further down the page you will find information from the Master Plan process and past meetings. We look forward to receiving your survey comments. The City of Rocky River and County Planning will be hosting a Public Meeting to provide an opportunity for input on the Rocky River Master Plan. The meeting will consist of a presentation and an open house covering priorities for the future. Residents are encouraged to attend and vote on priority goals and projects. Your input is important to the future of Rocky River! Please take some time to attend the meeting and help shape this plan for the next decade. Thus far, we have collected public input via a community survey, our first and second of three Public Meetings, two online surveys, and a number of meetings with the Project Team and Working Group. We have used this information to assemble a Policies document that outlines action steps to achieving Rocky River’s desired future. The Policies document consists of overarching community Vision Statements, Core Projects for major physical improvements in the City, and Goals and Actions for accomplishing the community’s vision. It serves as the foundation for action. In the upcoming Implementation phase, Core Projects and Goals will be prioritized and individual actions will be tied to partners, timeframes, and estimated costs to ensure responsible parties are aware of what is required to accomplish a project or goal. The second Public Meeting covered results from the first public meeting and policy recommendations for Core Projects and Goals based on the community’s vision. It was attended by over 80 residents who submitted approximately 140 written comments and placed hundreds of dots on the meeting’s demonstration boards. Furthermore, a post-meeting online survey was taken by 101 people which resulted in more than 450 individual comments. The Hilliard Boulevard Road Diet Core Project outlined the potential to reduce the number of travel lanes on the portion of the road east of Wooster Road while creating space for new development opportunities, bike paths, and landscaping. Multiple options of what this might look like were provided. A small road diet showed two driving lanes with one center turning lane, while a large diet depicted two driving lanes. Respondents valued additional landscaping and bike infrastructure along Hilliard Boulevard, and recognized that lane reductions would provide room for those features. However, there were concerns regarding the potential impact on traffic. The small road diet was preferred by the majority over the large diet. Based on this feedback, it is recommended that a traffic study be completed on the corridor before implementing any road diet. The information presented at the August 10, 2017 Master Plan Public Meeting along with a survey can be found by clicking on the documents below. If you were unable to attend the meeting, please share your thoughts on the Plan’s core projects and goals by completing the survey. We look forward to receiving your survey comments. The City of Rocky River uses the Ready Notify system to send alerts, updates and important information to our subscribers. This notification system is being upgraded by Cuyahoga County at no cost to the City. One of the system’s upgrades is improved weather event alerts. In order to ensure that you benefit from the upgrades and that there is no disruption of service, please re-register with the Ready Notify system. Please re-register by opening this link: Readynotify.us. The County has also sent all subscribers Ready Notify messages to this effect. If you have questions for the County in this regard please call 216-443-5700 or send questions to readynotifysupport@cuyahogacounty.us. Thank you for re-registering your current information for Ready Notify. The City recently mailed the quarterly sanitary sewer bills dated March 1, 2019 to Rocky River property owners. Please watch for the arrival in your mailbox. At this time of year, applications are being accepted for the 2019 Residential Sanitary Sewer Summer Credit Program. This is an annual program with qualifying eligibility criteria. The application is available in the Community News column at http://www.rrcity.com/sewers/. See more information on back. Also, note that this sanitary sewer bill is due on Sunday, March 31. 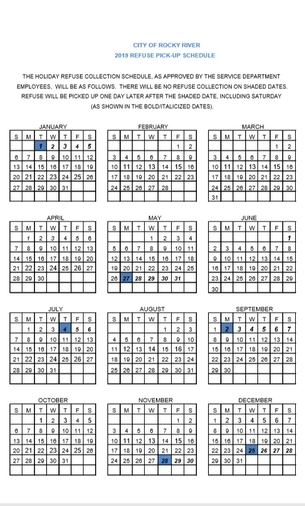 Since the billing due date falls on a weekend, the City will accept payments through the end of the next business day (April 1st) without penalty. Eligible residents who apply will be given a credit of one MCF (thousand cubic feet) in the amount of the current sanitary sewer rate of $38.00 per MCF. The Credit will appear on the September 1st sewer bill which covers the service period of June to August. Residents with a second water meter (also known as a deduct meter) already installed on an irrigation system are not eligible under this Program; the water consumption measured by the second water meter is already deducted from the usage before the sewer charges are calculated. The City continues to collect leaves from the tree lawn this week. Next week (the week of December 17th) will be our final collection of leaves from the tree lawn. We will collect from each street at least once next week, as weather allows. On and after December 24th, leaves must be bagged in brown yard waste bags for collection from the tree lawn. The City will collect brown yard waste bags year-round. Thank you for your cooperation in keeping leaves on the tree lawn for City collection– it is safer for our hard-working crews and less likely to cause safety issues in the street. Thank you. As Fire Prevention Week approaches, the Rocky River Fire Department encourages residents to “Look. Listen. Learn.” What does that mean? The Rocky River Fire Department is teaming up with the National Fire Protection Association (NFPA) ­‑‑ the official sponsor of Fire Prevention Week™ for more than 90 years ‑‑ to promote this year’s Fire Prevention Week campaign, “Look. Listen. Learn. Be aware. Fire can happen anywhere™,” which works to educate the public about basic but essential ways to quickly and safely escape a home fire. These numbers show that while we’ve made significant progress in teaching people how to prevent fires from happening, there’s still much more work to do in terms of educating the public about how to protect themselves in the event of one. This is particularly critical given the increased speed at which today’s home fires grow and spread. Although people feel safest in their home, it is also the place people are at greatest risk to fire, with four out of five U.S. fire deaths occurring at home. That over-confidence contributes to a complacency toward home escape planning and practice. While NFPA and the Rocky River Fire Department are focusing on home fires, these fire safety messages apply to virtually anywhere. 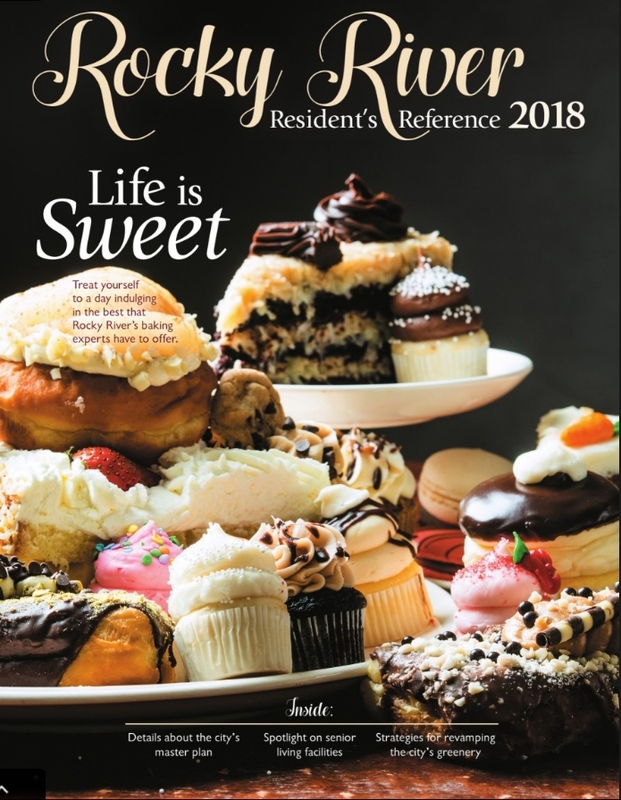 The Recreation Fall 2018 Program Guide is now available. 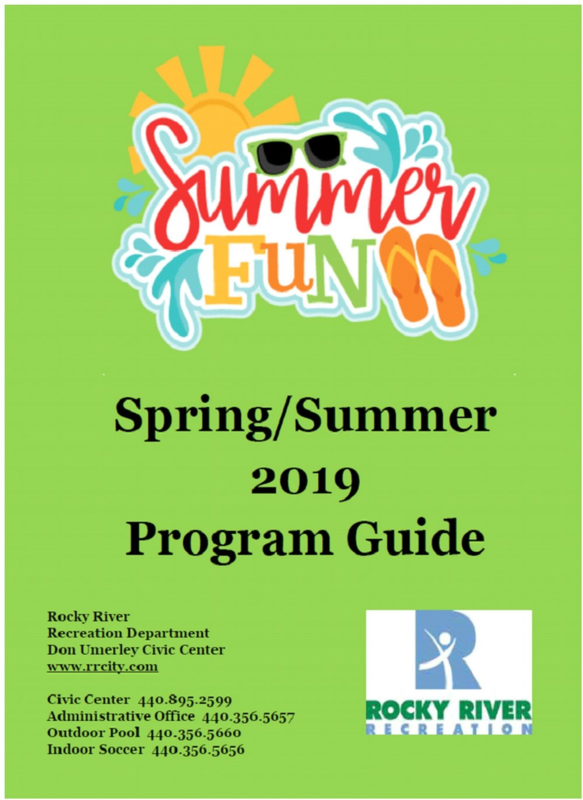 You can find it online at www.rrcity.com on the Parks and Recreation “Programs” page. There are a limited number of printed copies that will be available at the Civic Center, Hamilton Ice Arena, Senior Center and Library. Registration begins Saturday, August 18 online at www.rrcity.com/programs or at the Civic Center beginning at 8:00 am (doors open at 7:00 am and numbers will be passed out prior to 8:00 am). Complete registration guidelines can be found on page 2 of the program guide. Please note that the Civic Center is closed on Sunday, August 19 and reopens Monday morning at 5:30 am until 9:00 pm. Please call the Civic Center Front Desk, 440-895-2599 extension 0, if you have any questions regarding classes or the registration process. As a part of an Eagle Scout project, a tool receptacle for Habitat for Humanity is now available for donating old or unused tools. The tools will be picked up and taken to Greater Cleveland Habitat for Humanity to help people in need. The receptacle is located next to the front desk in the Rocky River Recreation Civic Center and will be available year round. We encourage everyone to go through their garages and tool boxes to look for items that they haven't used in years, duplicates, and small handheld power tools. If you have larger tools at home, please call (216) 429-3631 and Habitat for Humanity will come to your door to pick up the tools for you. Thank you for all of your support and kindness with these donations that will help Clevelanders in need. Cuyahoga Greenways is a joint effort between County Planning, Cleveland Metroparks, and NOACA to build an interconnected system of greenways and trails that link neighborhoods, parks, and public transportation, and create a comprehensive countywide active transportation network. Please follow this link for more information.